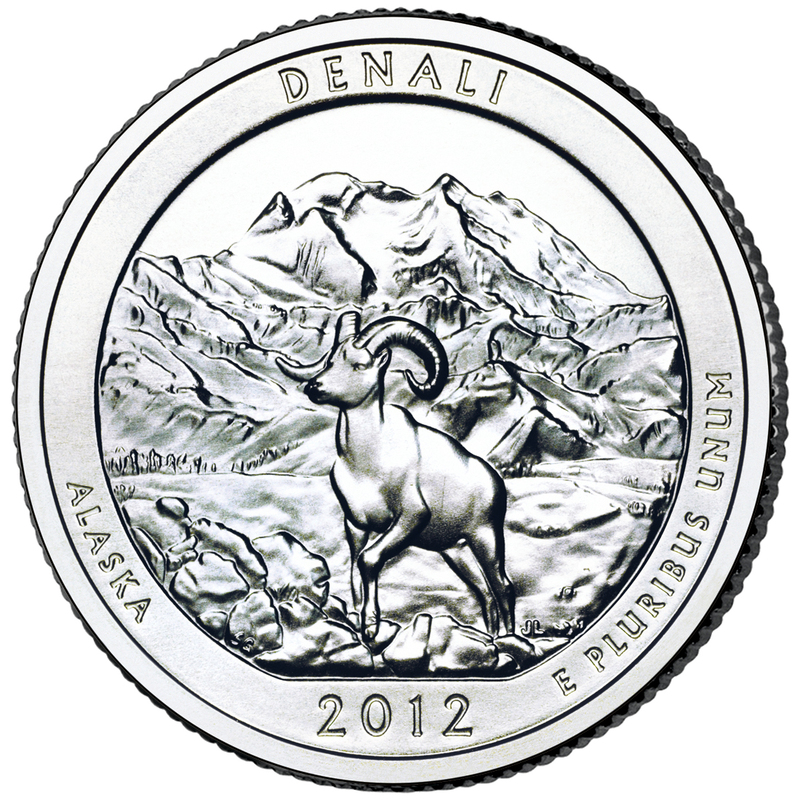 The Denali National Park and Preserve quarter is the fifth of 2012 and the 15th overall in the America the Beautiful Quarters® Program. In 1980, the park was expanded from 2 to 6 million acres, including preserve lands, and the name changed from Mount McKinley National Park to Denali National Park and Preserve. 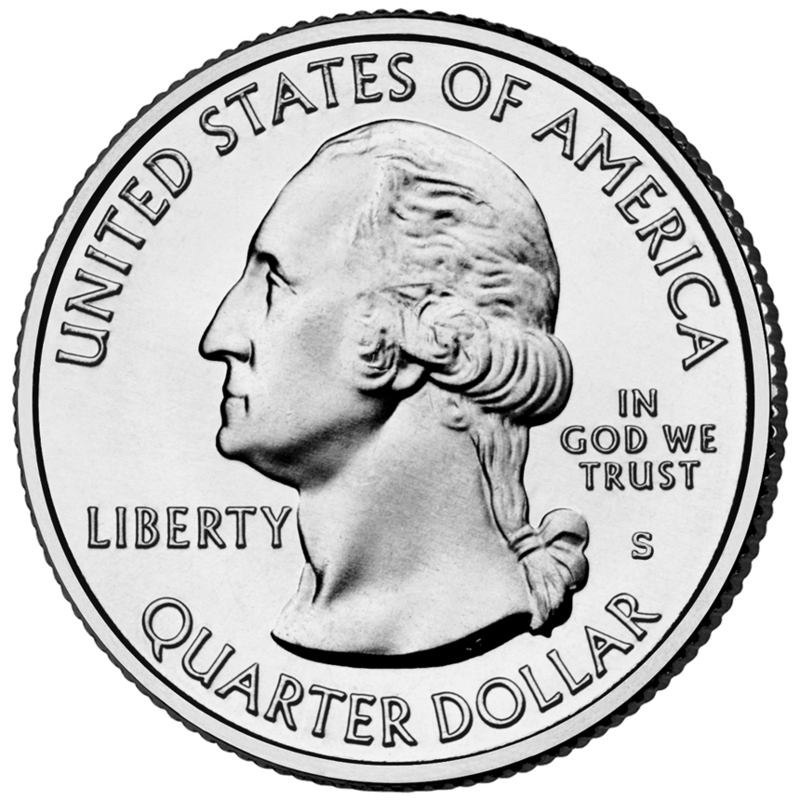 Today’s boundaries include the awe-inspiring 20,320-foot Mount McKinley, the tallest mountain in North America. The park’s dynamic glaciated landscape supports a diversity of wildlife, including grizzly bears, caribou, wolves, Dall sheep and moose. Archeological evidence that dates back more than 12,000 years ago indicates Alaska’s native people moved through this landscape seasonally, likely hunting large mammals, fishing and gathering plants. 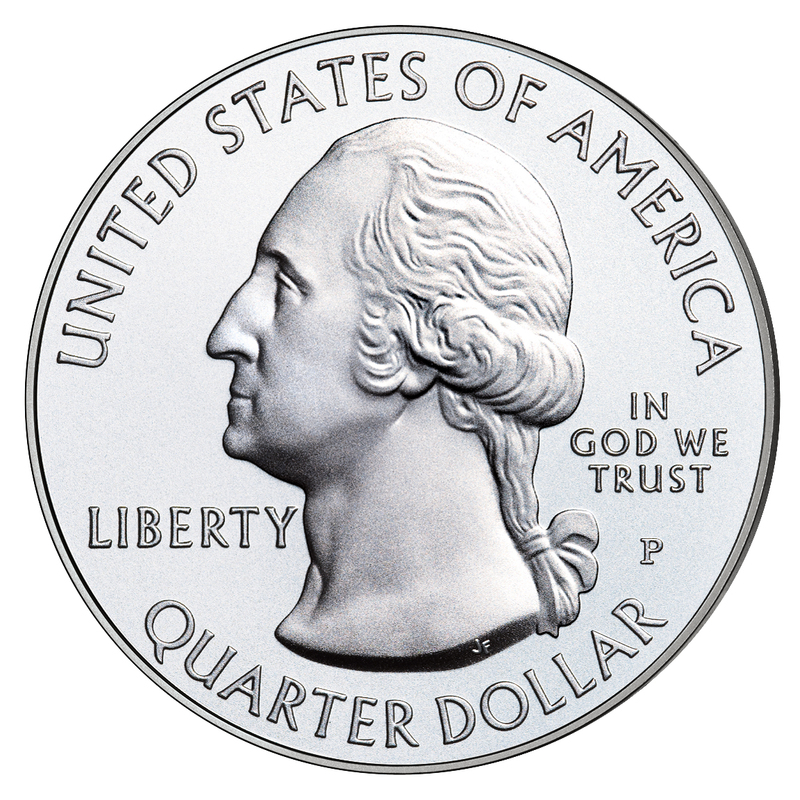 It was first established as a national site to protect wildlife populations on February 26, 1917 (39 Stat. 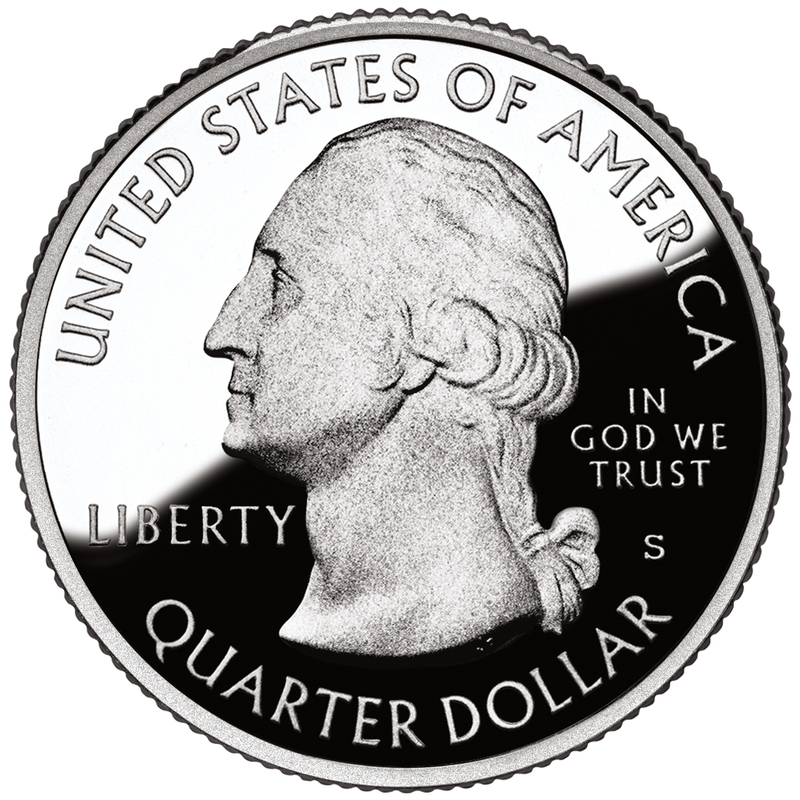 938). 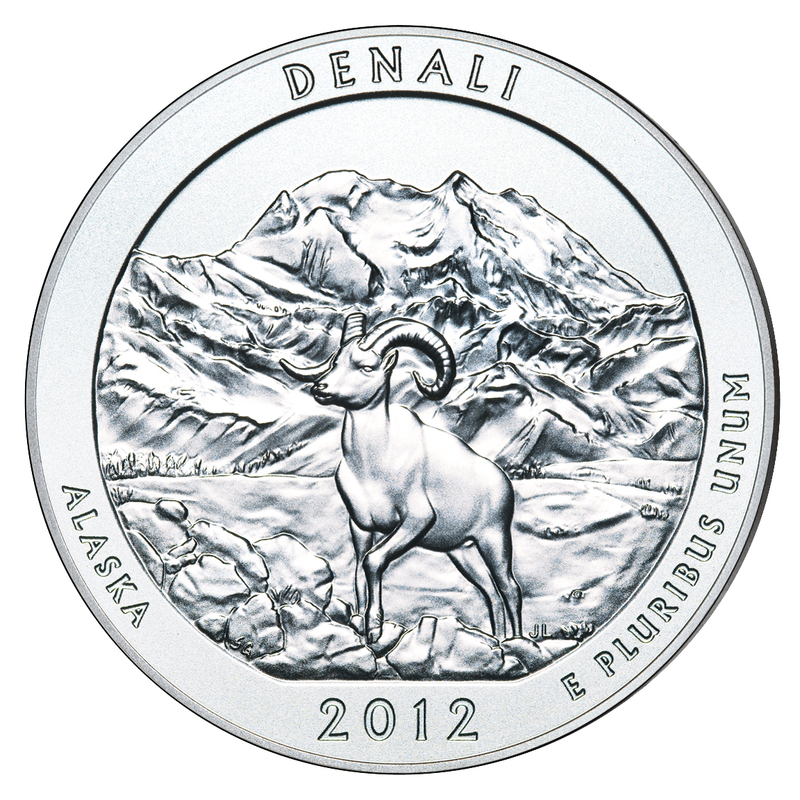 The reverse design features a Dall sheep with Mount McKinley rising in the background. 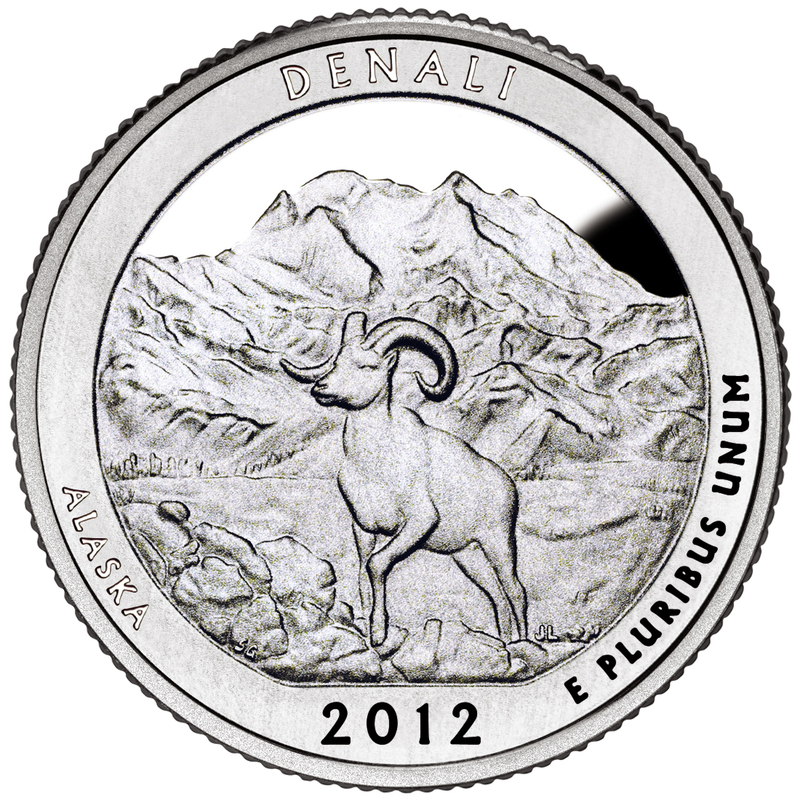 Design candidates were developed in consultation with representatives of Denali National Park and Preserve.